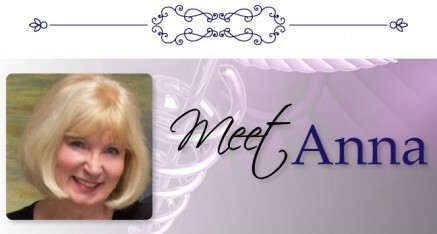 Anna Van Winkle is a Licensed Esthetician and experienced plastic surgery skin care specialist. Anna’s multi-speciality practice focuses on anti-aging skin care treatments, correction, and maintenance. She has worked one-on-one with Dr. E. Ronald Finger, the developer of New Youth Skin CareTreatment System and founder of New Youth Medical Spa & Laser Center. Anna B. Van Winkle is a New Youth Skin Care Expert and Dr. E Ronald Finger often consults with Anna on reformulation or improvement of products and respects Anna’s knowledge and experience. Why Choose Anna B. Van Winkle For Your Skin Rejuvenation Treatments? Anna B. Van Winkle has a vast knowledge of its cutting edge ingredients and delivery systems and has witnessed the results it delivers. Anna is also experienced in the treatment of acne and many other skin conditions. she holds many certifications and advanced training in laser therapy including the Cutera XEO. This therapy can provide the most versatile laser and light technologies such as the Laser Genesis, IPL Photo Facial, and Laser Hair removal.With well over 3,000 treatments performed, advanced training and much experience, New Youth Medical Spa & are proud to host Anna B. Van Winkle as the Southeast’s most experienced and qualified Fraxel Dual and Fraxel Repair CO2 expert. Anna B. Van Winkle is also a leading expert in Scar Revision and Stretch Mark Therapy. Ask Anna B. 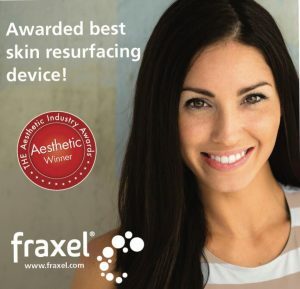 Van Winkle about which Fraxel Laser Treatment is right for you! Book Your Free Visia Complexion Analysis online today! One of Anna’s many specialties is analyzing the skin using the “Visia Skin Analysis machine.” Visia is a state of the art computerized program that identifies problem areas of the skin and allows Anna to individualize corrective treatments based on the results. She carefully formulates individualized skin care treatment programs for each client. To schedule your complimentary consult and skin analysis with Anna, simply call 912-354-4411 and ask to schedule with Anna and or email her directly. Anna is the only Fraxel Laser Specialist in the entire coastal empire with over 5000 effective procedures performed in the last decade. Begin using our Physician’s developed Anti-Aging New Youth Skin CareTreatment System and it will improve overall skin health, pore size, and texture, thereby, reducing fine lines and wrinkles. The additional benefit of using the entire product line is that you can lighten age spots and reverse sun damage that resulted in hyperpigmentation within as little as 4 weeks. The Fraxel Dual Laser Treatments, Eclipse Micro Pen Treatments with or without Growth Factors, PRP Therapy, and ThermiSmooth Face Treatments are often suggested to reverse the aging process and to create youthful healthy skin again. These are just a few options available by New Youth Medical Spa and Finger and Associates. Come visit us, book your appointment online today! One of the beginning treatments without downtime is Micro-Needling using New Youth’s Perfect Eyes. Perfect Eyes helps with fine lines, puffiness and dark circles under the eyes. Microneedling with or without Growth Factors or PRP can help to infuse Perfect Eyes into the skin. Perfect Eyes is an effective New Youth Skin Care Product developed for delicate skin and minimizes fine lines and wrinkles under the eyes with regular use. Other treatments that could be effective under the eyes include PRP Injections, Fraxel Laser Treatments, and Sculptra. 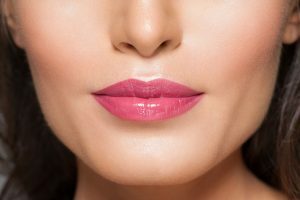 Injectables such as Restylane Silk, and even Juvederm or Restylane can be of assistance for the lines around the mouth.One of the hardest areas to improve is the area around the mouth. The treatment that gives the biggest bang for your buck is the Fraxel CO2. Micro- Needling with our without Growth Factors, PRP, New Youth Skin Care, and ThermismoothFace are also good options to add to the regimen. Book Your Appointment with Anna Today!